You have mowers to reduce and cut grass, shears to cut and shape bushes and other plants, and edges to give plants a more defined finish. However, no product does the work a pole hedge trimmer does – reach the hardest places with high effectiveness and precision. Herein, we are going to help you learn more about the best pole hedge trimmers in the market. Why you must have one, what you need to know about them, how they are made, and how to pick the perfect one. If you are eager to learn more – then come further and find out! A pole hedge trimmer is a trimmer that comes with a longer blade, longer handle, and superb blade design. They are mostly used for places where you need more reach such as wide or tall plants and works the best when it comes to trim or to shape up slightly. A pole hedge trimmer may come with different designs and types as well, yet it mostly focuses on being long and versatile. Some may be as long as 10 feet or more, while others may be as short as just 3 to 4 feet. They may also be either electric or gas-powered. The primary purpose of these devices, however, is to reach places where no other trimming-oriented device can reach. A trimmer is almost an essential product in every household with a garden or large yard with plants. This means, that when it comes to trimming, there’s virtually no competitor in the market. And the pole hedge trimmers are easily the ones you should look for. Here we tackle a few of them so you can eventually pick the right one. The most versatile option in the whole list, the Earthwise CVPH43018 delivers exceptional results without leaving anything to be desired. If you want a product that won’t let you down in any way, the CVPH43018 from Earthwise is very likely that choice. 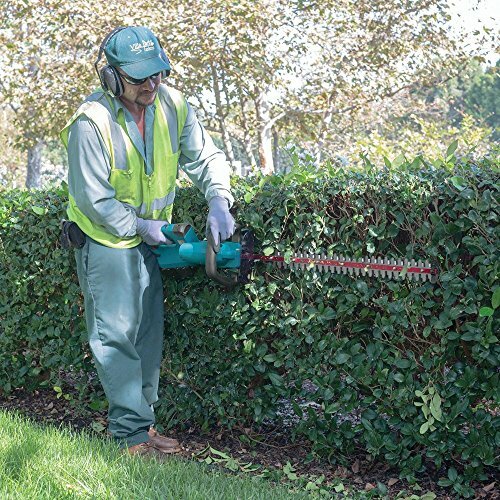 Coming at a fantastic cost, this safest and straightforward device is capable of trimming hedges as any professional-level trimmer would. Its performance is just ridiculous, capable of shearing shrubs and even reaching far-away bushes without problems. The thing about it is that it comes in two designs, the handheld design for less reach but more control, or the pole design for superb reach yet high-quality trimming. Both are outstanding and increases the versatility and overall convenience of the product. When you add the pole attachment, you get the chance to use five different settings according to your needs. This allows you to get more precision while trimming and avoid common unbalances. And the best of all, the pole is 8 feet and 8 inches long, which means it is outstandingly long so you can reach even the highest or most difficult points effortlessly. To change between designs is a total piece of cake and does not take more than just a few seconds. So you get a highly reliable, easy-to-use and useful device. The hedge blade is 18-inches long, so you get enough cutting length. Improve by the 4.5 AMP motor that is one of the most powerful out there. 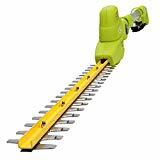 The most reliable of all trimmers, the GreenWorks PoleHedge provides everything you need and more. Excellent battery life, long steel cutting blade, and exceptional results with less effort – the PoleHedge is a superb choice entirely. Maybe the most exciting thing about this trimmer is the GMAX Li-Ion Battery System with 40V. This means you can trim an entire garden or yard without problems for up to 20 minutes straight without problems. Thanks to its cordless design, you will be able to use it practically anywhere you want without problems, reaching far-away points and much more. The 20-inch dual-action blade is one of the most effective for cutting in the market. Its performance is just outstanding, not only reaching the hardest of places but also providing better precision and more extended cuts. But that’s not all, with a shaft extension feature you can increase the length of the product by up to 6.5 feet without problems, delivering better cutting capacity and smoother operation. 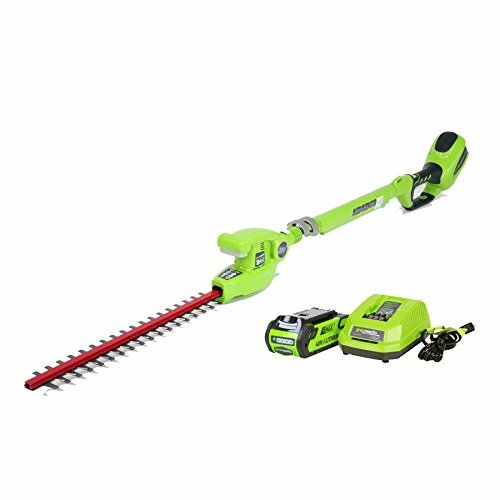 Whether you want to cut hedges, bushes, or even small trees, this trimmer will make it easier without a doubt. When you add the 3-position pivoting head, you get an even better product overall. This pivoting head allows the device to move its blade in multiple angles when cutting, so you get even more precise results according to your needs. Perfect for the tallest of operations, trimming with the SJH901E from Sun Joe is a no-brainer. Shaping up bushes, eliminating shrubs, or merely trimming in the easiest of ways, that’s what you get and more. The telescoping design of this electric trimmer is astonishing. 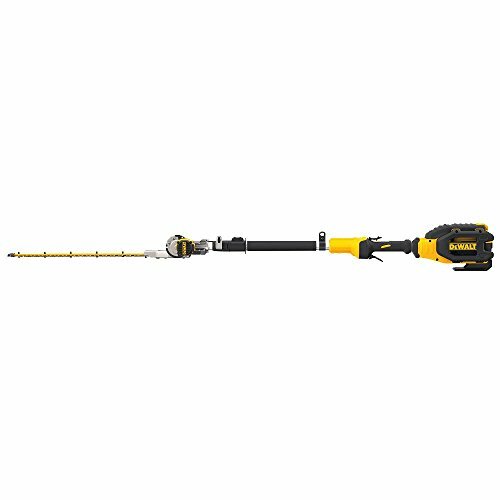 Capable of delivering up to 18-inches of cutting length, with its exceptional blade and extension pole up to 13-feet of reach, you won’t have anything to worry about. Whether it is a tall tree or a small bush, this device works wonders. But the length & reach is not what matters about this trimmer. It is the powerful 3.8 AMPs motor that delivers the performance you are looking for. Not only it is powerful. Nonetheless, it is also one of the most precise out there. 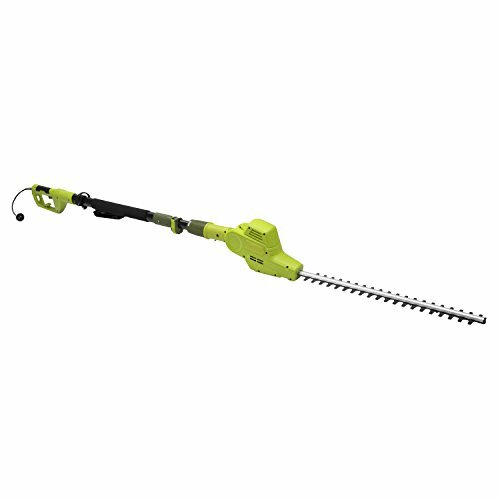 Especially when you consider its multi-angle pivoting head, you will be able to trim any bush in any way you want. Cutting your plants has never been as easy as it is with this top-notch trimmer. Add the quick-release strap for more convenient, excellent safety button for accident prevention, and blade sheath for secure storage. Whatever the reason you want a trimmer, there’s no doubt this device fits them all. One of the most durable, reliable, quiet, and convenient trimmers in the market – the DeWalt DCHT895M1 is easily a product you shouldn’t dismiss. Boasting a 40V MAX Lithium-Ion battery, this device is capable of delivering up to 90 minutes of continuous trimming effortlessly. Due to its cordless design, you can use it with your eyes shut, without fearing tangled cords, or lack of reach, even if the operation demands more effort than average. This is boosted with the telescoping shaft, delivering up to 5.8 feet in length when extended, and as little as 3.75 feet when retracted. Whether you want more precision or more reach, this device does it all without problems. And its performance is not to overlook either. A brushless motor capable of delivering up to 3700 SPM will surely meet your standards. Adding the 22-inches dual-shear steel blade with hardened laser cut design provides the most outstanding trimming results you can think of. And if this wasn’t enough, the device comes with a pivoting head that offers up to 8 different positions for more versatile operation. Not only it reaches difficult places, but also delivers better & more precise cuts. End up with the quietest of motors, with almost no maintenance and lack of pull cords, and you get a convenient & highly reliable product entirely. From performance to handiness, this trimmer is no joke. When it comes to Black+Decker products, you are surely getting a device that doesn’t disappoint. 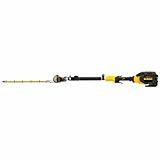 This electric cordless pole trimmer is one of those options that will surely provide the performance and overall reliability you are looking for. Everyone knows that for a trimming device you need stability, control, comfort, and exceptional reach. Well, that’s exactly what this device offers. Add the quick, safe, and highly convenient design, and you get a product that will always meet your requirements. With 7.7 lbs. of weight, you could easily say it is one of the lightest out there. This is improved with its 6.5 feet length with the pole, reaching even the tallest of points without problems. And with its fiberglass shaft with excellent rust-proof construction, you’ll be able to enjoy a longer & much more reliable operation. Still, its overall design is what matters here. The five-position pivoting head allows better & more versatile blade movements, trimming even the most awkward of points effortlessly. The blades are also dual-action at 18-inches, which means you get a longer cutting action with superb vibration-less performance. These blades are so fantastic that it can go through branches that are 0.3 inches thick without problems. Another exciting part of this trimmer is the 20-volt MAX Lithium-Ion battery, which not only keeps the device working for longer, but also elongates its lifespan. Having no cord increases overall comfort & convenience as well – so you get a fantastic product entirely. 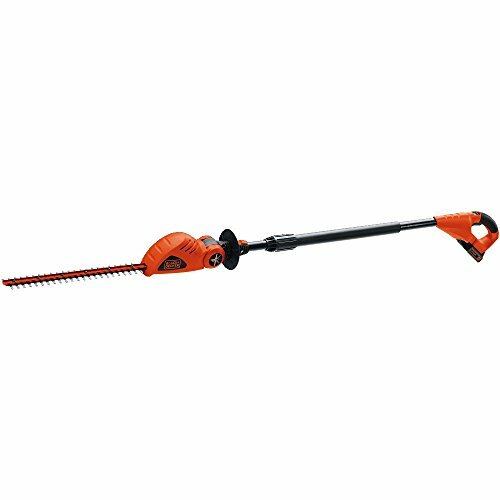 The ideal trimmer for the tallest bushes and even trees, with the SJH902E you get what not many trimmers offer: exceptional results, convenience, and comfortable use. 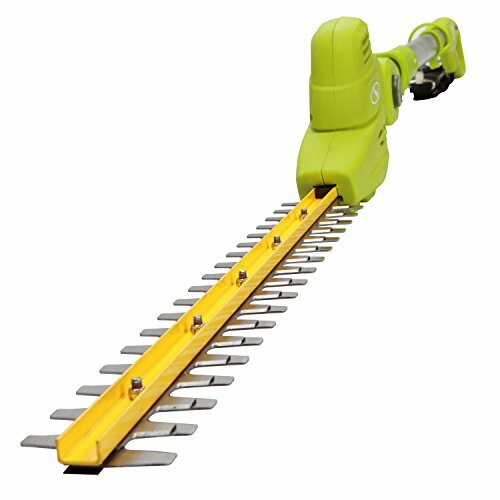 If you are looking to start trimming your trees and bushes without the use of a ladder or steps, then this device is what you need. There’s just not many Sun Joe trimmers that deliver such a high performance like this one. From shaving up dead branches to eliminating shrubs and other badly-looking leaves on your plants, this one does it all. With the perfect 21-inches hardened blades made of steel, you won’t only reach farther places, but also eliminate thicker twigs than usual. Then, with its powerful 4 AMPs motor, even the hardest-to-cut branches will be taken off without problems. Many people prefer this one precisely because it works even for thicker twigs, which not many trimmers can provide. But that’s not all, as this one come with a superb telescopic pole which allows better reach from 7.9 up to 13 feet, allowing you to trim even tall trees. You add the multi-angle pivoting head to all this, and you get one of the most convenient products in the market. Being able to cut the most awkwardly positioned parts of a bush has never been as easy. Garcare products are often overlooked in the market, and it is a shame. The excellence and overall quality of Garcare devices are simply outstanding, and the GPHT07 trimmer is not an exception. Working with a 4.8 AMP motor, this device is capable of delivering a compelling performance even with the hardest of applications. And of course, it still promotes a reliable use, no matter the situation, with exceptional results for shrubs, bushes, hedges and more. The thing about this corded pole is that you won’t need any height-augmenting accessory anymore. With its extendable and locking system, you will be able to increase to 9.2 feet its overall length, making the device incredibly versatile and convenient. Being slightly longer than other options, this one reaches places that not many can reach, even with a pole trimmer. Add the 20-inch cutting blades with laser and rust-resistant hardened steel, and you will surely get a perfect result every time you use it. And with its 6-angle pivoting head, reaching awkward places is not a problem at all. You won’t have to worry about cleaning or maintenance either. An aluminum pole for resistance, the steel blade rust-preventing, and the top-notch highly reliable design increase the overall durability of the device. And you won’t have to do anything more than just cleaning it after using. The cheapest model in the list, the Earthwise CVPH41018 is pretty reliable nonetheless. If you are looking for a product that does its work for a very meager price, then this one will come like a gem. This trimmer counts with an 18-inches blade that can cut more with the perfect length. Despite its corded design, you will be able to reach farther and taller places without problems, while still getting the results you want. And, it is all done thanks to a 6-feet extended pole that offers an excellent lengthy design. When you add the top-notch 6-position pivot, you get even more convenience from the device. This allows you to cut in a 150-degree spectrum, delivering a much more versatile performance. Reaching difficult places won’t be a problem anymore when you add its length and head movement. 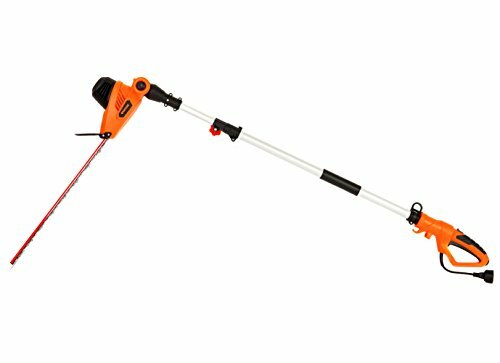 One of the things that sets this trimmer apart is the ability to transform from a pole to a hedge trimmer easily. If you want a handheld device or a pole one, you can get both with this one. Just push a button, and that’s it, you will be able to use the design you prefer the most or depending on your needs. When you consider how affordable it is, its exceptional two-design feature, and reliable overall performance – this is a device that shouldn’t be ignored. A cordless trimmer is always a more convenient choice for anyone who wants to reach taller places away from power connectors. The Black+Decker LHT2436 comes with everything needed to do just that and much more. Boasting a 40V Lithium-Ion battery, you can get exceptional results for longer. Its power and overall efficiency let you trim your plants, bushes or trees without problems. Even if it is a robust and time-demanding job, with the ability of this device to last up to 90 minutes straight you can do get excellent results. The battery also recharges very easily & fast. With only one hour charging you can get full power back to use it once again and finish your work. But the battery is not the only thing that works on this device. 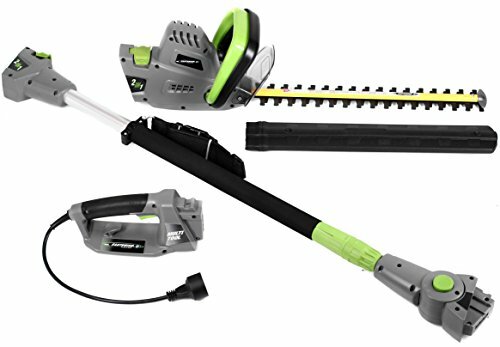 The PowerDrive transmission design makes this cordless trimmer exceptionally fast & effective. 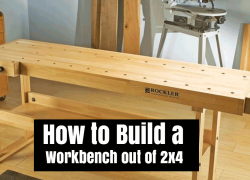 Working alongside a 24-inches blade, you won’t have to worry about ineffective cuts. The vibration reduction from the blade alongside its superb dual-action performance helps to cut leaves and think branches effortlessly. You add the highly comfortable grip-oriented rubber handles, and you get a fantastic device entirely. Let’s not forget, however, that alongside its powerful 40V battery, you also get up to 2400 SPM, which means you can trim up your plants faster and more efficiently. Makita always delivers products that are worth a try, and this cordless hedge trimmer is one of those that are even more than that. With a potent, reliable, and very convenient set of features – this product is one you shouldn’t dismiss. Powered by two 18V LXT batteries, it can offer up to 36V of power and longer runtime, leaving nothing to be desired. The LXT platform allows the device to make better use of energy, keeping the machine working for longer while still delivering a top-notch capacity. With its cordless design, you can also reach farther and more awkward places with less effort. 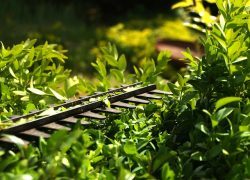 Thanks to a blade design that can go up to 25.5 inches, reaching difficult spots on your plants are now far more accessible than with any other. It is straightforward to use as well, with two handles for easier grip & precision-oriented usage. You can use the switch for operating and the electric bake to make it stop when needed. And of course, you can also choose between six different speeds that go from 0 to 1800 SPM, for more reliable yet versatile operation. Whether you want to trim small or tall trees, any type of bush, or even just shape up your ornamental plants – this device is undoubtedly a first-rate choice. And what’s best of all – it offers outstanding durability & resistance with its top-notch build. While it seems a little counter intuitive, most trimmers just differ in the type of power system they use. 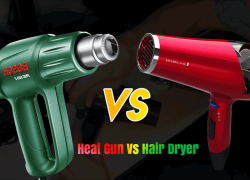 Whether it is electric, corded, cordless, or gas-powered – that’s what changes between types. 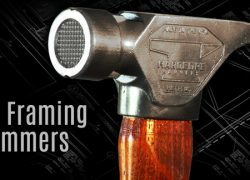 We went over each one to help you learn more about the different classes of pole hedge trimmers available. Gas-powered trimmers are the most powerful of all trimmers available. They can offer highly dominant performance, similar to one 2-stroke bike engine. However, they are not the most reliable & durable out there, as several mechanical parts tend to be fragile. And at the same time, they cost more to operate and may be inconvenient. The noise these gas-powered trimmers create is also higher than any other. And the maintenance is superbly annoying, as they come with several parts such as filters, gas tanks, carburetor, starter and more. Commonly, they are also slightly more cumbersome and more laborious than other models. These trimmers need a power outlet to work. They come with large or short cords and may not be as versatile or convenient as gas-powered trimmers. However, they are less noisy, come with much lighter construction, and are often easier to maneuver with when trimming. Another important thing is that they don’t consume as much energy as a gas trimmer, so they are very affordable in the long run. But due to the problem of the power cord, you may not have the chance to go to tall trees or difficult far-away places with the device. This is maybe the most convenient, easy-to-use and versatile device you can pick. A cordless trimmer comes with a recharging battery that needs to deliver at least 30 minutes of straight operation. They are outstandingly easy to use, amazingly reliable as well, and they weight almost half of what a corded or gas-powered trimmer does. The problem is that they don’t last too much working when compared to a gas-powered trimmer, and even less so when compared with a corded one. But of course, they produce little to none pollution, and due to their versatile design, you can use it practically anywhere without any problem. Why Do You Need A Pole Hedge Trimmer? 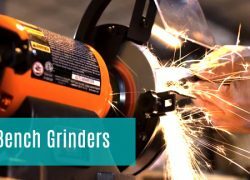 Even though it is a highly versatile device that can be used for practically any type of trimming including small bushes and even grass, there are more actual reasons you can pick one for. One of these is that a pole hedge trimmer is much better for reaching tall and challenging places on your plants. With other devices, reaching these places may be almost impossible. Apart from that, you could say that hedge trimmers are outstandingly effective for cutting hedges effectively. With their long blades and potent operation, even the slightly shrub or imperfection can easily be removed from bushes or tall trees. A hedge trimmer with pole design also allows better precision and even improves safety exponentially. With other trimmers you will need to use stairs or ladders to reach farther points, increasing the potential for severe damage. And of course, this helps to feel more secure while trimming and improve your overall balance and precision while doing so. But inevitably, it all comes down to what you are looking for. If you have a small garden with several hard-to-reach plants to trim now and then, there is no doubt a pole hedge trimmer will provide the results you want. As you should know by now, pole hedge trimmers may seem simple, but they are slightly complicated. 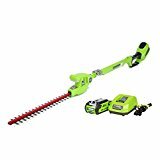 So, to help you pick the right hedge trimmer according to your needs, it’s critical to show you the many features & factors that differentiate the best pole hedge trimmers from the wrong ones. Take a look further to find out! Among gas-powered, corded, and cordless trimmers, you may spend a long time finding the right one for your needs. We recommend always going for electric versions if you see them reliable & powerful enough, as it will save you a lot of maintenance time, effort, and sometimes even money. But between corded and cordless, you may need to consider a few more things. 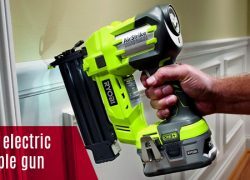 Especially when it comes to reach, you will always find cordless designs a lot more effective even if you have extensions to increase the reach of a corded model. A corded model will be the best choice if you have a small garden with no tall trees or bushes to cut. Otherwise, you will find cordless models much better for your needs. If you have a larger & more extensive garden or yard, a cordless device will come like a gem. They may not last more than a few minutes or hours working continuously, but the versatility and convenience are simply unmatched. Being able to reach taller and more difficult places has no price. So it comes down to what you find the most enticing. Gas-powered devices are sturdy and easy to use, but eventually cost a lot more. Instead, corded work well and don’t consume too much energy, but leave mobility behind. And of course, cordless trimmers are merely amazing in almost every way, but not as powerful or long-lasting as the other two. The weight is one of the factors that most people tend to dismiss when it comes to gardening tools, yet it is vital in every way. From comfort when using to balance, precision, and even overall results – the weight of the trimmer can tell you how useful it is. Usually, corded trimmers are often the lightest despite having a power cord attached. Then you have the cordless, which coming with a battery increases their weight exponentially. But really, the heaviest is the gas-powered trimmers that need to boast an engine and gas tank to work correctly. Here, we recommend corded trimmers exponentially. They are more comfortable to use, yet not as mobile as cordless ones. So, you just only have to consider what you prefer between the two. Volts, AMPs, or even engine CC’s. You can find different types of power measurements for your trimmer depending on what kind you pick. 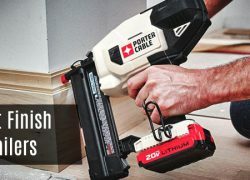 When it comes to corded and cordless designs, you may have volts or AMPs, or sometimes both together. Corded models are mostly measured in AMPs, which we recommend choosing something between 2.5 and 4.5 AMPs to avoid getting something too powerful or too ineffective. For cordless, anything below 20V would be a waste of money. For gas-powered trimmers, of course, it is recommended to get at least 21cc up to 28cc in the best ones. But the most CC the engine has, the more fuel it will use, so the more expensive it will be in the long run. The length of the pole plus the blade should be enough to provide excellent reach. We recommend poles that can go four up to 10 feet if possible or more. However, the longer the pole, the more power it will need. Some poles can extend, which is also an advantageous feature. 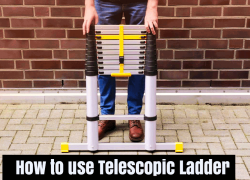 Most poles are only between 4 and 7 feet, but with the extendable feature, they can go up to 10 or sometimes even 13 or more which is extremely convenient. We recommend choosing something that offers at least 5 feet when retracted and up to 10 when extended. The blade is the part of the trimmer that does the cutting. If you don’t pick the shape, size, length correctly, and build of the edge – you won’t get a good enough product. Most blades are between 15 and 40 inches long, which is between 1.5 and 3 feet. Anything smaller or larger than that will likely cause trouble or become too ineffective for trimming conveniently. Some blades are also built to be dual-action, which means they can cut in two different ways. Others come with two faces, so they cut in two ways for excellent and more convenient results. And others, instead, offer more cutting depth, which is useful depending on the tree or bush you want to cut. One serious factor to remember is that the best blades are the hardened steel ones. They are more durable, get better sharpness, and eventually provide light enough build for more natural balance and more precision than standard blades. Several features provide versatility when it comes to pole trimmers. Among these, you can find a multi-angle pivoting head, which means the blade can turn to different sizes according to your needs. So you won’t have to make an effort to move the device manually. The build, the design, the power source, and the materials, all of these can change how much a device can last. It is right to say that corded electric trimmers are the most durable of all. They don’t have batteries that could stop functioning suddenly, or any additional parts like gas tanks, carburetor, and filters that need constant maintenance. Still, it all comes down to the manufacturing methods, the quality of the brand, and the overall performance of the device. It is common to find highly powerful trimmers to last less than the medium or low-performance ones. In the end, we recommend choosing hardened steel blades for durability and focusing on doing less maintenance without losing lifespan. In short, the best choice will always be a corded trimmer. Connect the device or prepare it depending on its type. 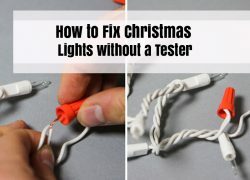 If it is corded, make sure to extend it as much as possible to reduce tangling. Mount the device on your shoulder with a strap, or adjust it tightly to your arm. Make sure it fits comfortably. 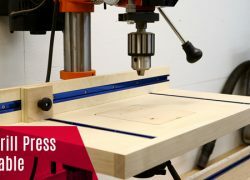 This allows more stability and thus more precision when cutting. You can set up the angle of the blade according to your needs in most models. Do so if needed to reach the places you need. If the device feels too short, try to extend it if it comes with that feature. By extending it, you could add up to 5 feet to the devices’ length so that you can reach higher and farthest points. Now turn on the device by pulling or pushing the trigger or button, and position its blade on the place you want to trim or cut. Be sure to cut only the part you want and need to cut. For this, use the device slowly and with care to avoid making a disaster. When you finish trimming your plants, turn off the device by pushing the trigger or button once again. If it comes with a lock system, use it to avoid problems. If you do all this, you’re probably going to learn how to use a hedge trimmer more effectively fast. Wear safety gloves, safety glasses, long-sleeved shirts, long pants, and a mask. This helps you get less damage from the debris and jumping bits from the trimming of plants. The blade of a trimmer moves very fast and powerfully, so you must always keep your hands away from this part when the device is turned on. Always hold the device tightly and comfortably. Not having the right balance or control over the device may be dangerous. When fatigued, slow down and eventually rest for a few minutes before using. Don’t risk your health and the quality of the operation. Always try to clear the area you will walk on before using the trimmer. Avoid the risk of falling or tripping when operating the device. Make sure to have enough space to move when using. If you have a corded device, straighten the cord as much as possible to avoid getting out of reach. Try to start the device slowly every time, from the lowest speed. Avoid beginning the device at the highest speed to avoid malfunctions or dangers. If you get a pole hedge trimmer, you will very likely have to take care of the device to avoid problems with it. Before doing any maintenance, make sure the device is entirely turn off and disconnected from any power source. Start by cleaning the device, removing debris from the blade teeth by softly brushing them with a wire brush. Then use a damp cloth to remove any type of dust or debris from the plastic parts. Now, to ensure reliable operation, you can use oil on the blades to make them work effectively. Just dump the cloth in oil and try to pass it through the edge softly. Coat each tooth of the blade for better results. For gas-powered devices, you will have to do an additional car-like maintenance every one to two months. After cleaning and doing maintenance, make sure to store the device in the right place away from kids and pets. This brand focuses on creating the excellent-quality products for all-around gardening applications. Its trimmers, cutters, mower, and other similar products will always be highly reliable, easy-to-use, and performance oriented. You will find GreenWorks trimmers very useful & overall versatile as well. A brand that is in almost every type of homeworking category from gardening to woodworking and even overall construction, DeWalt always deliver top-notch results. Each product from this brand is undoubtedly a product you want to have. They are extremely reliable, durable, easy to use, and offer superb performances in every way. DeWalt trimmers are all of that and more. Focusing on gardening products, this brand delivers excellent results at a very affordable cost. Earthwise is part of American Lawn Mower Co., which means its main products are mowers and other similar ones. This also means that is trimmers are of exceptional quality nonetheless, due to a very reliable construction for this type of niche products. Sun Joe develops all types of outdoor tools for home use. Whether they are cordless, corded, and electric or just whatever, Sun Joe products always come with excellently convenient designs. Apart from that, they are often very reliable and provide superb performances. Trimmers are not an exception, and all Sun Joe’s models are just top-notch. Black+Decker is an all-around homeworking tool and device producer, creating innovating and very reliable products entirely. Whether it is for gardening, cleaning, woodworking, lighting, hardware and much more, Black+Decker provides fantastic results in every way. All Black+Decker trimmers are options not to overlook. Garcare focuses on gardening equipment of all kinds, from mowers to saws, vacuums, blowers, and more. It is maybe the smallest brand on the list, but surely one of the best, with products that may feel slightly expensive, but that comes with exceptional features and outstanding features. Makita is another brand that creates products of all kind, with exceptional quality entirely. These products are innovative, straightforward to use, performance-oriented, and some of the most reliable out there. When it comes to trimmers, Makita delivers the top of the bunch, so it also becomes a great choice. No matter the results you are expecting to get from the hedge trimmer, it is critical to know everything you can about them so you can get the most out of your desired option. Q: How Long Does A Standard Trimmer Last? A: When it comes to lifespan, most trimmers tend to last between 2 to 10 years or even more in the luckiest cases. However, you can increase the lifespan of any device, including trimmers, by doing constant maintenance and following the right operation manual. Q: What Problems Can I Face With A Pole Hedge Trimmer? A: There are many problems you can face with one of these devices, but the most common are a failure at starting, dull blades that don’t cut and overheating. Q: How Can I Fix My Pole Hedge Trimmer When One Of These Problems Arises? A: It is recommended to always call a technician or the brand/manufacturer before trying to fix the trimmer yourself. This way you can make sure not to damage the device while meddling with it. Q: Is My Yard Size Too Much Of A Factor When Buying? A: It is, actually maybe the most crucial factor you should consider before making a choice. Remember, the larger the yard, the more versatility you will need. It is essential to also find the height, length, and width of your bushes and plants. Q: What Plants Does A Hedge Trimmer Work Better For? A: Ornamental plants, perennials, bushes, and grasses are the most recommended types of plants that a trimmer works with. Remember, a trimmer has the whole purpose of eliminating overgrowth hedges, dead leaves, and awkward twigs and branches. 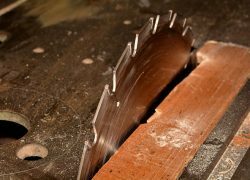 Q: Chainsaws And Power Saws Look Very Similar To Trimmers; Can I Use One Saw Instead? A: Despite being similar in build and design, the trimmer is far lighter, much more precise, and much easier to use as well. This means that a chainsaw or power saw is far too heavy and inconvenient to use for trimming. Final Words – Picking The Best Pole Hedge Trimmers! 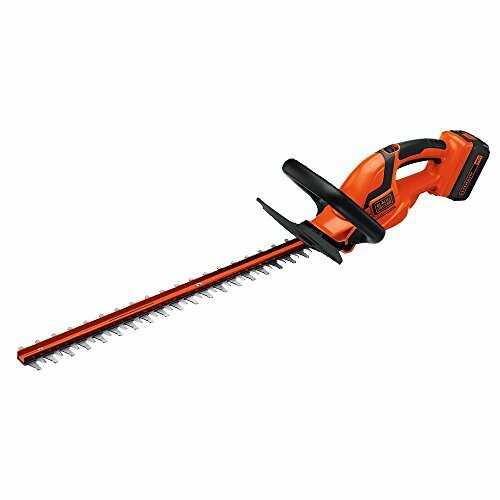 You’ve read the entire article; it means you are eager to pick a hole hedge trimmer that works wonders. And guess what – with our help, advice, and recommendations, you are inevitably going to choose the right one. Just make sure that our list comes handy when selecting the right product for your needs. Remember, it all comes down to what fits your needs and requirements the most. If you are eager to buy a new hedge trimmer, then don’t waste more of your time and do it now!